Valentine’s Day is less than a week away. 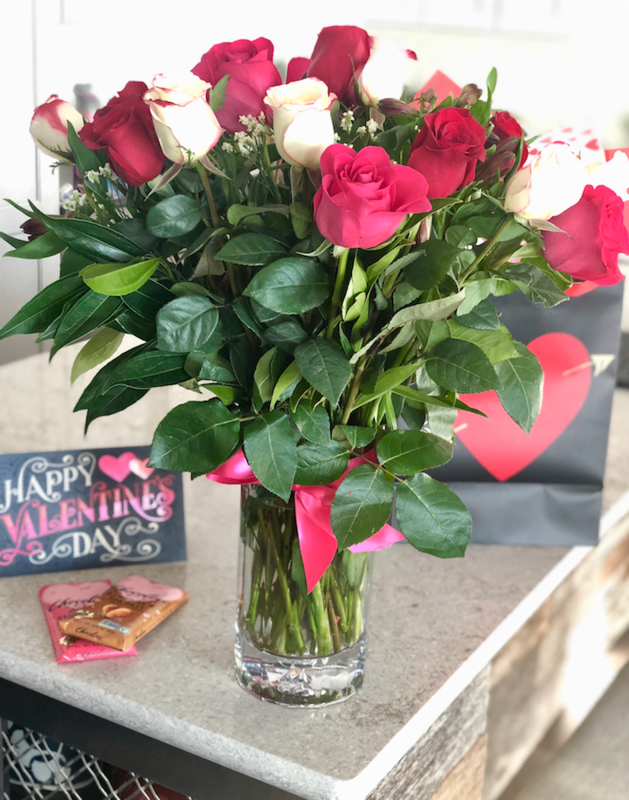 A little planning goes a long way to make sure your sweetheart is surprised with the most beautiful Valentine’s Day flowers and gift to show your love. Flowers, chocolate, a spa gift card – that’s a fabulous way to show your gal how much she means to you. Add a bottle of wine, a surf and turf dinner and some chocolate covered strawberries for dessert and you’ll get major brownie points (especially if the kids clean up the kitchen)! Get everything you need for the perfect Valentine’s Day from your local Safeway. In one stop, you can get gorgeous flowers, the steak, the lobster, and dessert. Be sure to call your local Safeway floral department ahead of time to customize your arrangement with your love’s favorite colors. 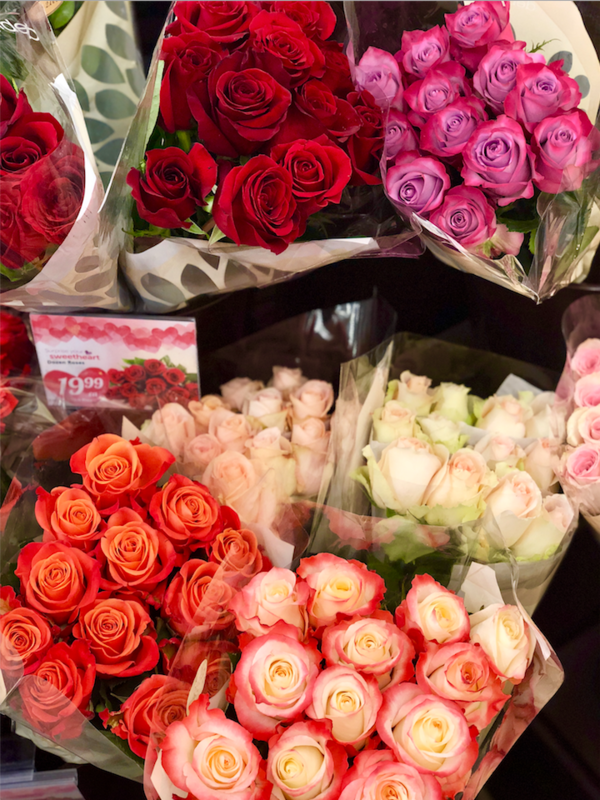 Safeway’s floral department is fully stocked with gorgeous roses starting at $19.99. The best value is the Debi Lilly Regal Rose arrangement which comes with 20 long stem roses in a gorgeous heavy bottomed glass vase with greenery, alstroemeria and white filler flowers for just $44.99. This is really an amazing price. 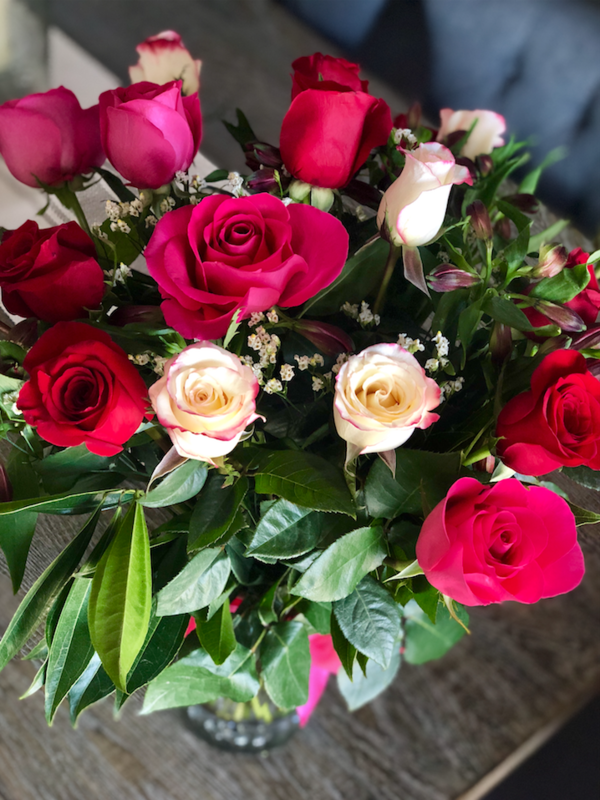 I chose red roses, hot pink roses and white roses with pink tips and it came in a beautiful vase that accentuates the arrangement perfectly. If you were to order long stem roses from any flower shop in this type of vase, you would easily pay $79 or more. Be sure to check your Just or U account for special personalized prices and deals on flowers. I was able to save $4.50 on the Regal Rose arrangement with a personalized Just for U coupon. Safeway has every color rose imaginable for you to make a beautiful custom arrangement. See the weekly ad below for additional Valentine’s Day flower options with the pricing. While not everyone is not a fan of roses, you can customize a floral bouquet with other beautiful flowers of your choice. 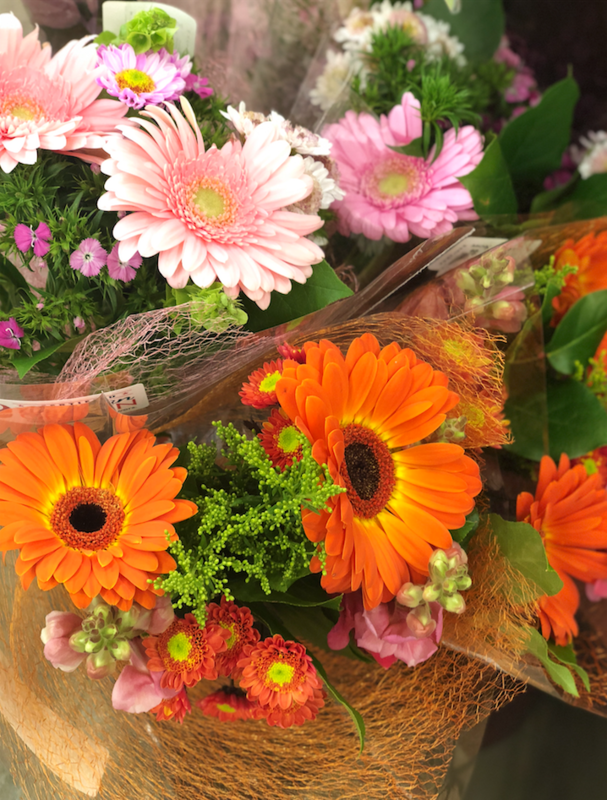 My personal favorite are Gerber daisies, but you can also pick up tulips in a variety of colors for just $7.99, orchids for $23.99, and assorted flower bouquets that are pre-made for just $14.99 each. If you are planning a wedding, be sure to check out the Safeway wedding flower collection, with bouquets starting at $23.99. Be sure to pick up your Valentine’s Day card, gift bag and tissue paper at Safeway where you can get a $5 checkout coupon when you spend $10 on American Greetings Products through February 10th. Safeway has an exclusive relationship with designer Debi Lilly and there are some fabulous gift options available in the floral department. Pick a custom vase that your sweetheart can use over and over, scented candles in an array of colors, and new this season, monogramed candles in fresh scents like grapefruit and ginger. 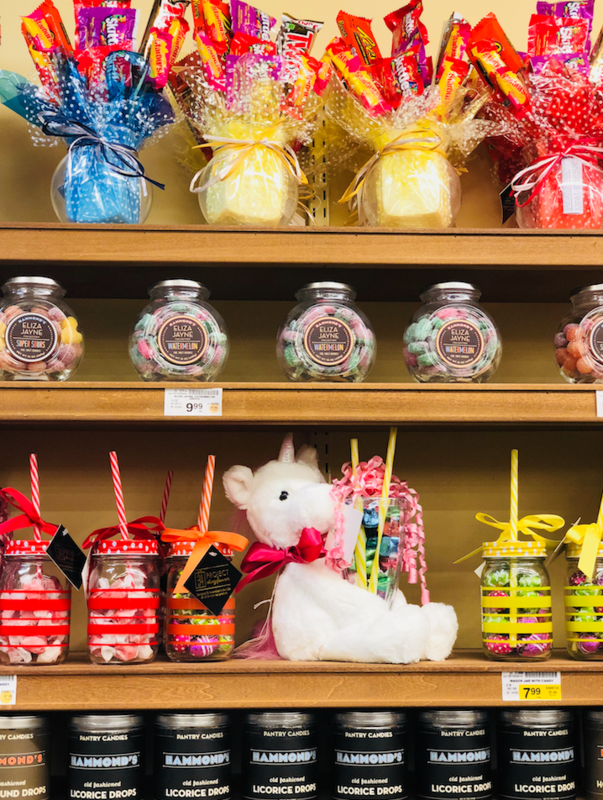 There are also candy bouquets, stuffed animals, mylar balloons, and if your sweetheart is a Broncos fan, you’ll even find all the Broncos gear you can imagine at 70% off right now! This is a sponsored post and I received the custom flowers pictured above from Safeway to let you know of all the beautiful options available at your local Safeway floral department.